I am interested in exploring how the ecological framework might be used in different disciplinary contexts. If anyone is interested in collaborating please get in touch. The presentation will introduce the idea of learning ecologies and the proposition that in the world outside higher education we continually develop our own ecologies to learning and achieve something significant and deal with complex situations, solve problems and engage with opportunities. An ecological perspective on learning requires teachers to think of themselves as part of a specialised ecosystem within which teaching and learning takes place. Through their pedagogical thinking and practices, HE teachers create ecologies within which students learn and have potential to use their creativity. 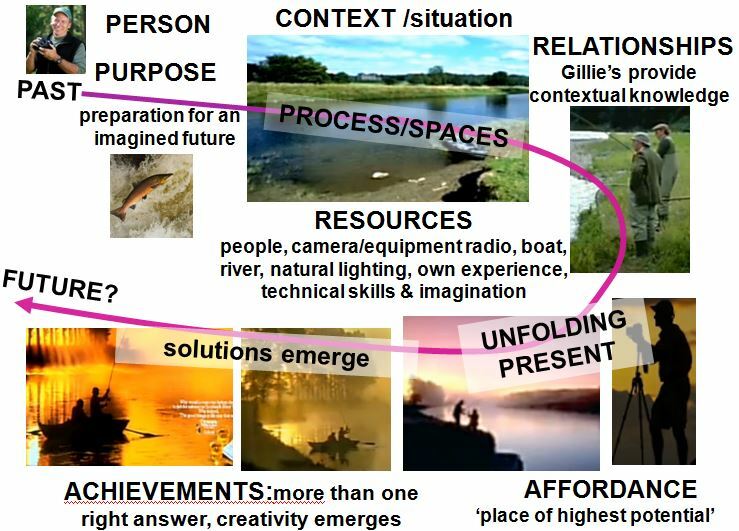 Learners are involved in these ecologies but they also create their own. An ecological view of higher education takes account of the opportunities students have to create their own ecologies for learning within and outside the academic curriculum. This talk explores the idea that learning, teaching and creativity are ecological phenomenon and our ecologies for learning are the vehicles for integrating our creative imagination and critical reasoning to create new meaning. Activities will encourage participants to apply the ideas to their own teaching practices. The idea of pedagogy will be explored from an ecological perspective. Consideration will be given to how higher education teachers develop their own pedagogical thinking and practices. What causes a teacher to hold certain ideas, beliefs and values about learning and creativity how are these reflected in their educational practices? Building on the ideas introduced in the first session it is proposed that through their pedagogical thinking and practices, HE teachers create ecologies within which students learn and have potential to use their creativity. Activities will encourage participants to share their own perspectives on what teachers do to encourage and enable students to use and develop their creativity, and how teachers can enhance opportunities for students' creativity in their own educational practices. Examples of pedagogic practices will be provided to encourage thinking about the features, characteristics and cultures that might be incorporated into a learning ecology that encourages and enables students to use their creativity. In January 2005 I facilitated a cross-disciplinary conversation at the University of Portsmouth on Creativity in Teaching and Learning. The results of this conversation where published in a Guide. If you would like to continue the conversation please join our #creativeHE Google+ Community Forum where we have regular conversations about creativity in higher education. You can also register your interest in creativity with the Creative Academic community and receive our Magazine which explores different dimensions of creativity. What can we learn about encouraging and facilitating students' creativity from Tina Seelig's creativity MOOC? My book explores the idea of learning ecologies and applies it to higher education teaching and learning practices and the everyday world of learning and achieving in the wider world. It can be purchased from LULU the on-line publisher.